Blue Mountain opened in 1941 with three ski trails. It was the realization of the dream of Czechoslovakian born founder Jozo Weider—to popularize skiing as a recreational sport in Ontario, Canada. Over sixty years later, Blue Mountain Resorts is a year-round destination for skiing, snowboarding, mountain biking, golf, and business conferences. The company employs 450 year-round staff and up to 1700 seasonal staff. 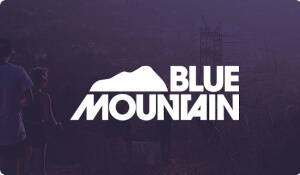 Blue Mountain relies on e-mail as a vital communications medium with their customers, particularly their members and season pass holders. The company distributes information about special events, promotional offers, and weather conditions via e-mail to its database of customers—the timely delivery of which directly impacts revenues. Mailscape is a unique and innovative systems management tool that combines all the key elements for Exchange monitoring, administration, and maintenance in a single solution. Mailscape’s sleek dashboard provides you with vital information about each server’s current state and growth rate to facilitate proactive Exchange management.